Our highly experienced attorneys represent clients in the following practice areas: -Family Law & Mediation -Appellate Representation -Medical Malpractice & Personal Injury -General Litigation -Mineral Litigation -Elder Abuse & Neglect Experienced Civil Litigators We are well-known and respected for our civil litigation experience. Attorney Morris Lane Harvey has a stellar reputation for his background of successful representation of clients involved in hotly contested and complex cases. He has been practicing law in southern Illinois for over 30 years. We put forth the effort to work with our clients through the most intricate and unique cases. We put together a specialized team of people that is specifically tailored to the issues in the case. We pull in financial planners, accountants, medical professionals, investigators, and any other professionals that may be needed to get the job done. We represent clients in both state and federal court, as well as the state appellate courts and the Illinois Supreme Court. Our goal is not only to provide excellent legal services to clients but also help them rebuild their lives through the difficult process of litigation. We work with clients in every aspect of their divorce including the following: -Divorce -Child custody & visitation -Child support & maintenance -Property division - specializing in Family Business & Farming Operations -Adoptions -Post judgment modifications -Paternity -Prenuptial agreements The Law Office of Morris Lane Harvey offers a high-level of personal service to our family law clients. We focus on providing excellent legal services and also working to help our clients to get their lives back on track. We understand that divorce can be extremely complicated and stressful. Often times the entire family is affected by the divorce. We assist our clients and their families with finding counseling and other resources that will help to keep their lives moving forward. In any divorce there are often several disputes that can arise. We work with family law clients that find themselves in the middle of a custody dispute, disagreement over dividing marital property, and many other complicated situations. Our divorce attorneys are skilled at working with clients in the midst of complex divorce situations. Lawyer Morris Lane Harvey has a strong reputation in southern Illinois for his experience handling complex divorce cases. Morris Lane Harvey was recommended by his peers to be named a Leading Illinois Attorney in area of family law. Fewer than 8% of Illinois attorneys have this distinction. Mr. Harvey has practiced law in southern Illinois for the last 40 years. For that entire period, his practice has been limited to civil litigation with an emphasis in family law, personal injury, commercial and medical litigation. He has extensive experience in State and Federal Courts, including the State Appellate and Supreme Court. In addition, he has been recognized for more than 20 years by Martindale-Hubbell as "AV Preeminent", the highest possible rating for professional excellence, both in ethical standards and professional ability. -The AV Preeminent Rating is the pinnacle of professional excellence earned through a strenous Peer Review Rating process that is managed and monitored by Martindale-Hubbell. 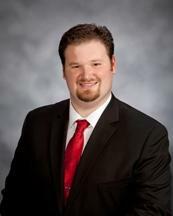 Mr. Behme is a court approved mediator focusing upon custody, visitation and other family law related matters. He works with individuals to help resolve issues arising during an initial determination of custody or visitation as well as disputes that may arise after a parenting agreement or order is put into effect. -Court approved mediator for the Second Judicial Circuit, Fourth Judicial Circuit as well as Washington and St. Clair Counties in the Twentieth Judicial Circuit of Illinois. Deana Meiners grew up in Marion, Illinois, with family spread throughout the southern Illinois area. While active in her school and community, Deana spent her senior year of high school studying abroad with Rotary International. At Bellarmine University, she was an active member of the Mock Trial team where she grew her love of the legal profession. She graduated with a Bachelor of Arts degree in History and Communication. While at Southern Illinois University School of Law, she was a member of the Mock Trial Team, Phi Alpha Delta Law Fraternity and President of the Student Animal Legal Defense Fund. She participated in the Domestic Violence Clinic where she learned how to assist clients in getting the legal help they need to escape abusive situations. 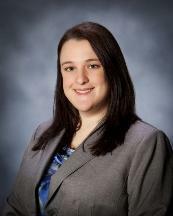 Deana volunteered at the Carbondale office of Land of Lincoln where gained experience working together with clients. During her last year of law school, she interned with the Cook County State's Attorney Office - Traffic Division where she gained litigation experience. Deana is currently an active member of the Mt. Vernon Rotary Club. - Southern Illinois University School of Law, J.D. - Bellarmine University, Louisville, Kentucky, B.A.